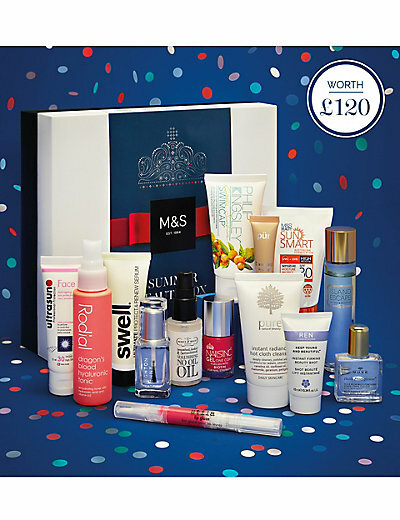 I had to bring you this mad crazy bargain as it is way too good to miss, £120.00 Value in beauty products for £10.00 from Marks & Spencer Spend £40 at M&S and get your Beauty Box for a ten pound note ! I have to say this really is the best offer I have seen in a very long time, and some stunning brands for you try. The box is released today, so you need to be quick, I don't think this will last long. Bought it for my molly,age 11..she can't wait to get it tomorrow.